Working at Core-Mark International, Inc. 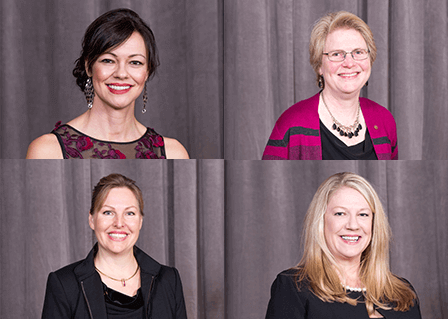 Check out our series The Power of One Team: Highlighting Core-Mark’s Female Leaders. Read more about Jordana, Helen, Sandra and Suzanne. Explore featured jobs at Core-Mark and work with a world leader in the distribution and marketing of consumer packaged goods and fresh food. Over 130 years of helping independent customers grow their business. From early roots as the Glaser Brothers, a single storefront in San Francisco in 1888, to a present day, multi-billion dollar corporation, the Core-Mark family has held a singular focus – empowering our customers with the best service for the purpose of helping them grow. That’s why we have become one of the largest distributors and marketers of consumer goods in the United States and Canada. From national chains to local Independents, we provide, broad line distribution services, strategic supply chain solutions, marketing programs that increase profitable sales and help our customers to do what they do best—serve the United States and Canada's need for fresh food and Consumer Packaged Goods. Want to help people get fresh food fast? Be part of our team… and we will help you build a strong and more rewarding career for you and your family.